DON’T OWN A LIVEBOOK-GFX YET? 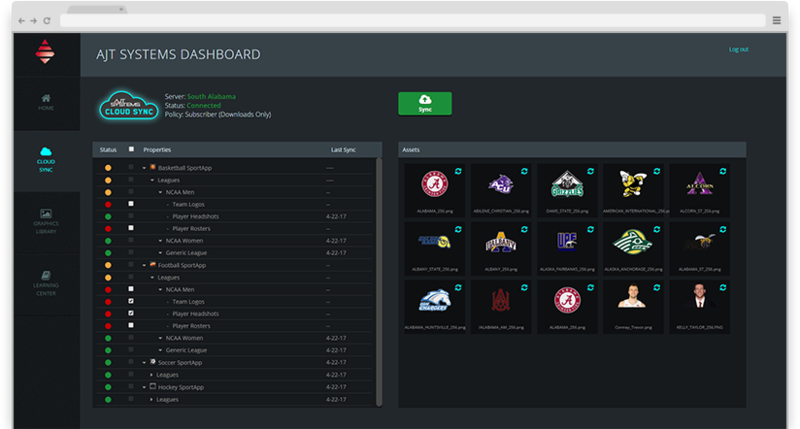 AJT’s Cloud Sync Service allows each league office, school, truck, or production team to directly control graphic assets across their LiveBook GFX or LiveServer-GFX fleet. This Service is accessible through any device and allows you to distribute graphical assets to all LiveBooks automatically and invoke cloud sync when you are ready for new assets. Graphical Assets grabbed are automatically ready for air, allowing users to add sponsors anytime and enable effortless headshot distribution. AJT’s Graphics Library gives LiveBook Users unlimited access to full HD animated stock graphics, built by our award-winning graphic designers. AJT’s Graphics Library also gives all approved users access to download OTT network graphics, including ESPN3, Spectrum Cable, American Digital Network, and American Sports Network. 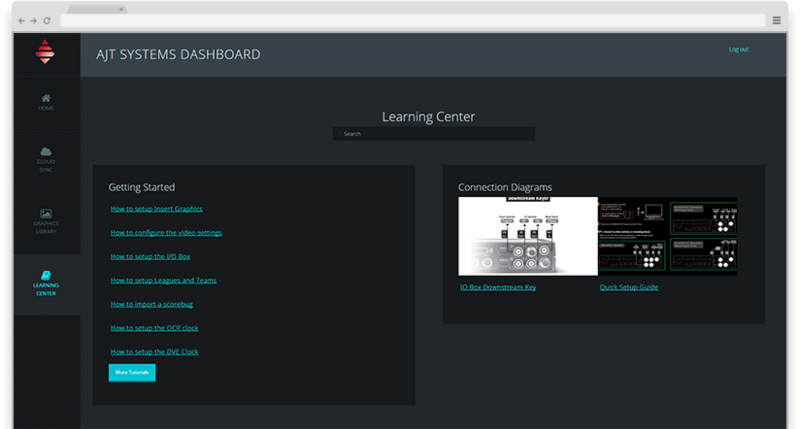 AJT’s Learning Center gives instant access to a variety of guides, videos, and documentation that covers LiveBook hardware, SportApp playout software, and Camino template editing software. Learn how to wire up your LiveBook, review SportApp training for operators, or watch Camino Training videos to learn how to build custom scorebug, go-to-break, and insert graphics.